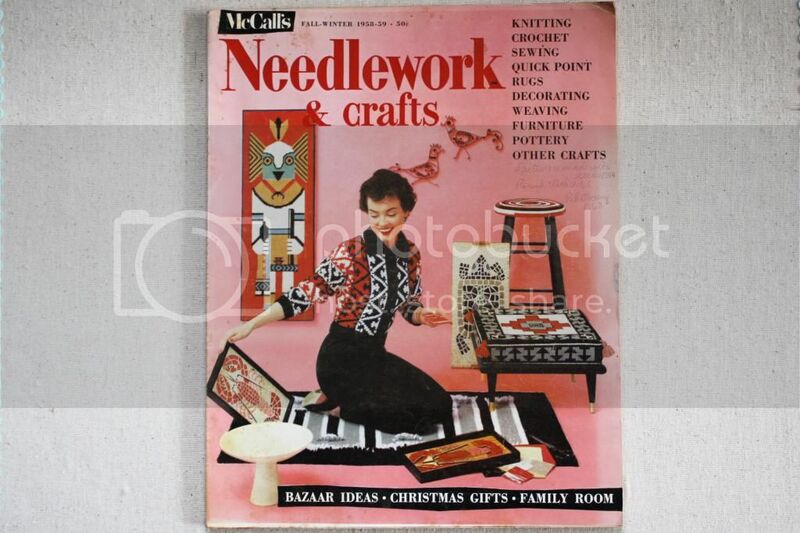 I recently found some vintage McCall’s Needlwork and Crafts magazines at two separate estate sales, and I have to say I’m a little obsessed! 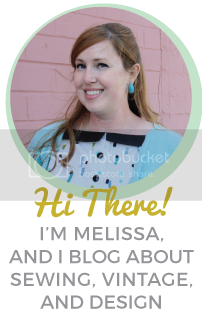 There’s so much great fashion and craft inspiration in each one. 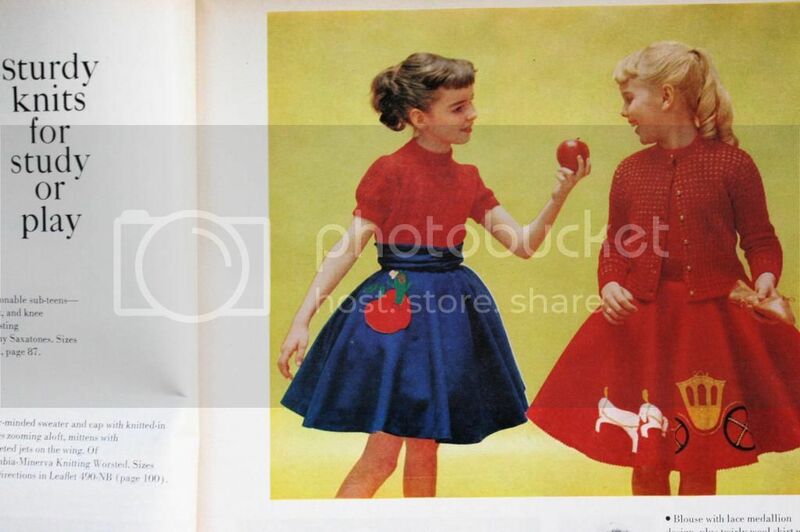 I thought some of you might like to see it too, so I snapped a few photos of some of my favorite pages on the Fall-Winter 1958-59 edition. How perfect is this bow sweater? 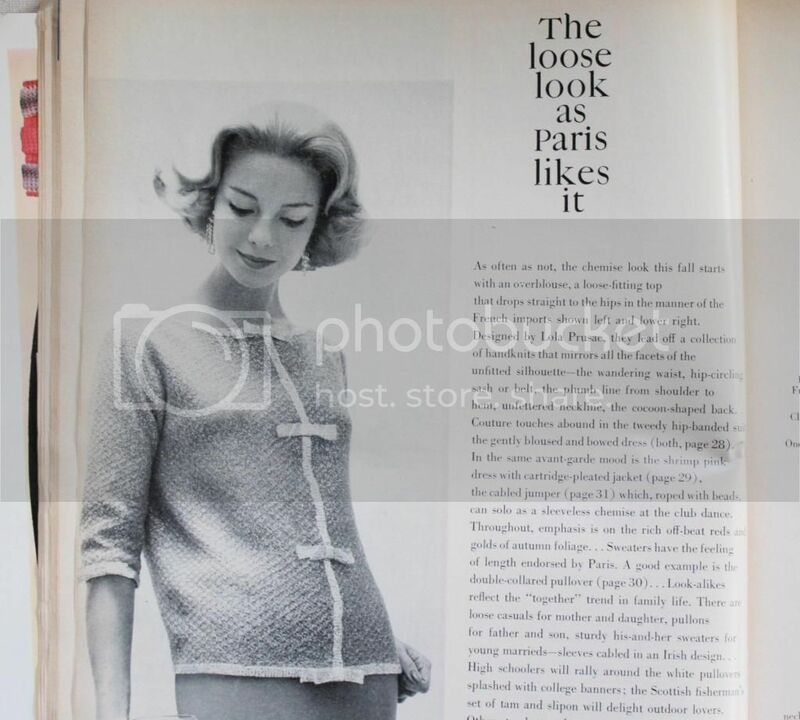 It’s all the rage in Paris. 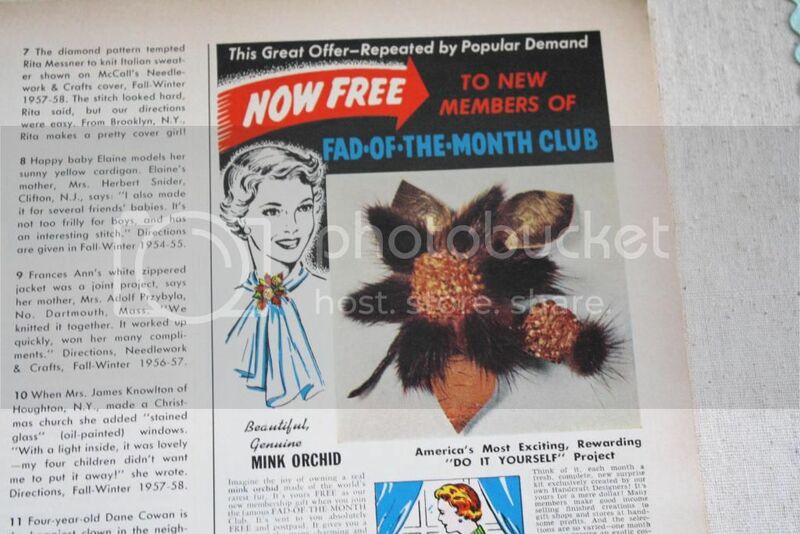 …but I’m not so sure I’m into the “Mink Orchid.” There’s something weird about hairy flowers. 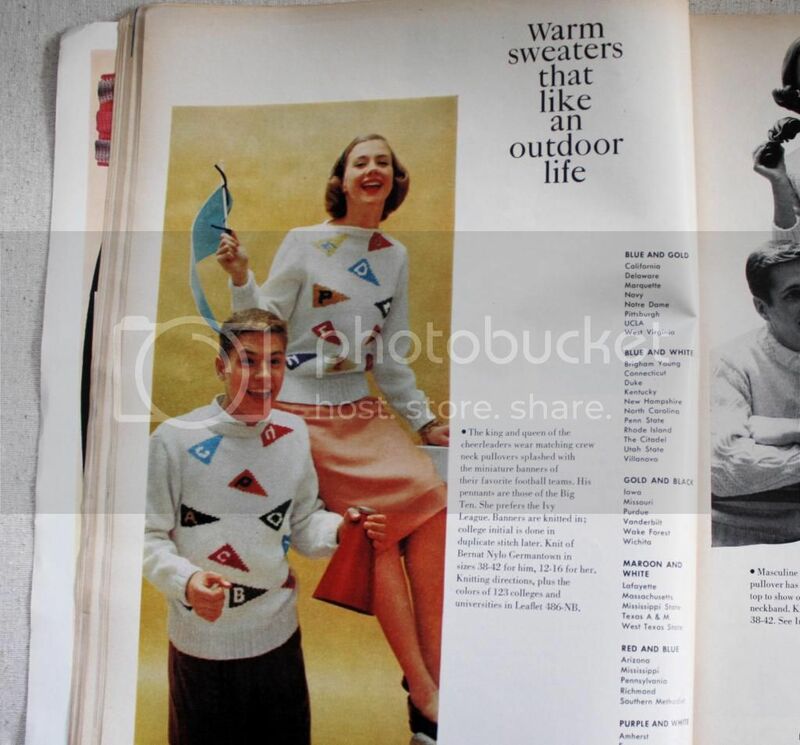 These collegiate-themed sweaters are also adorable, though something tells me it may have been unlikely that the boy would be caught dead in it, even in the 1950s! 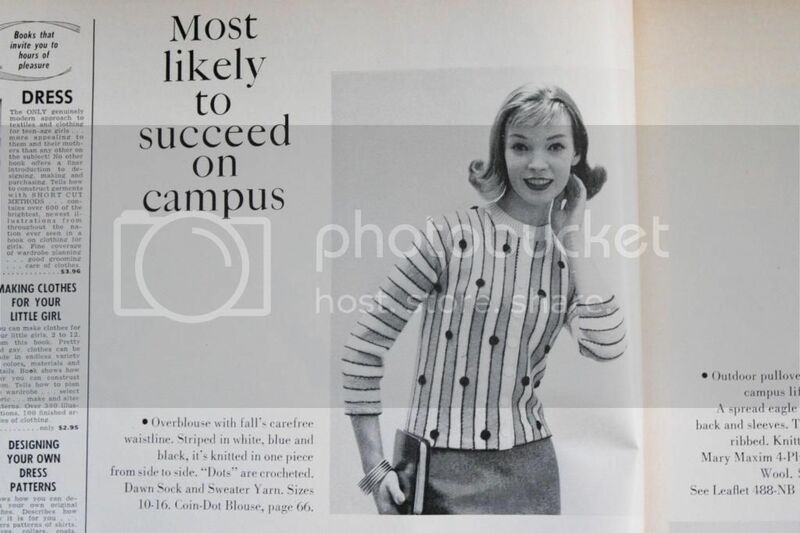 I’m in love with this striped and spotted cardigan! 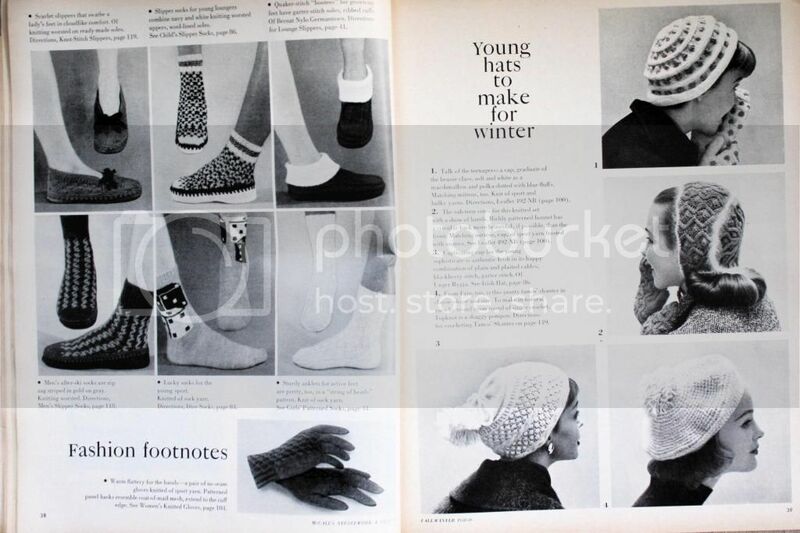 And I think I need to learn to knit so I can make myself a pair of slippers and a beret. And maybe some dice socks. Is that Cinderella’s carriage on her skirt? Too awesome! 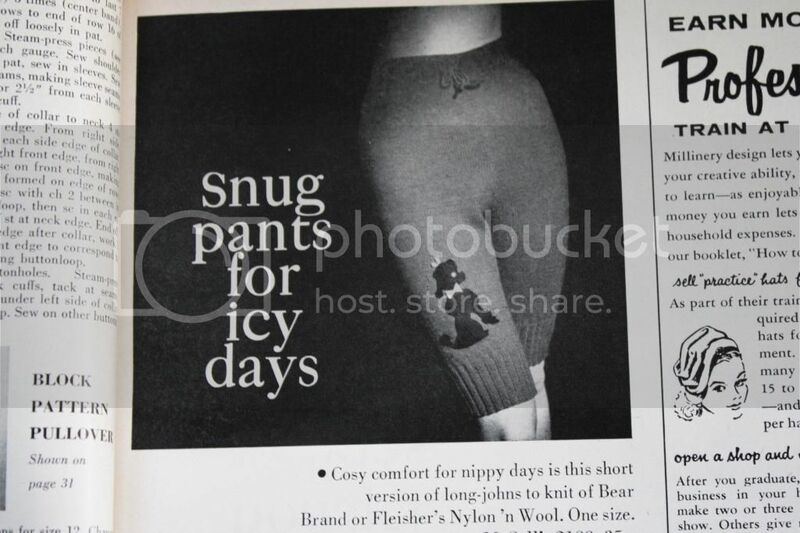 Long-johns with a poodle! I’d wear ’em. 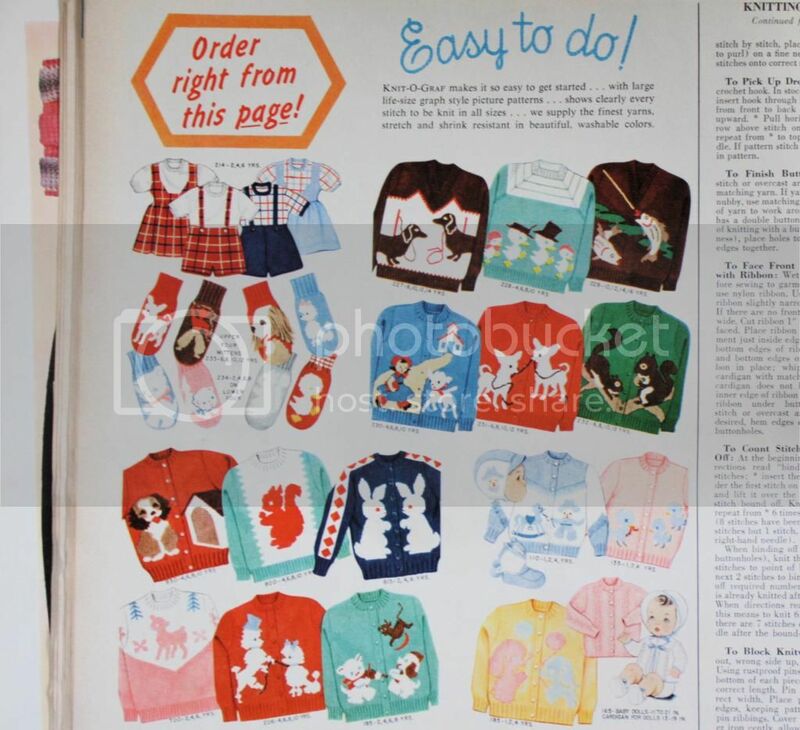 I wish I could still send away for these kits! I’ll take one of each please! 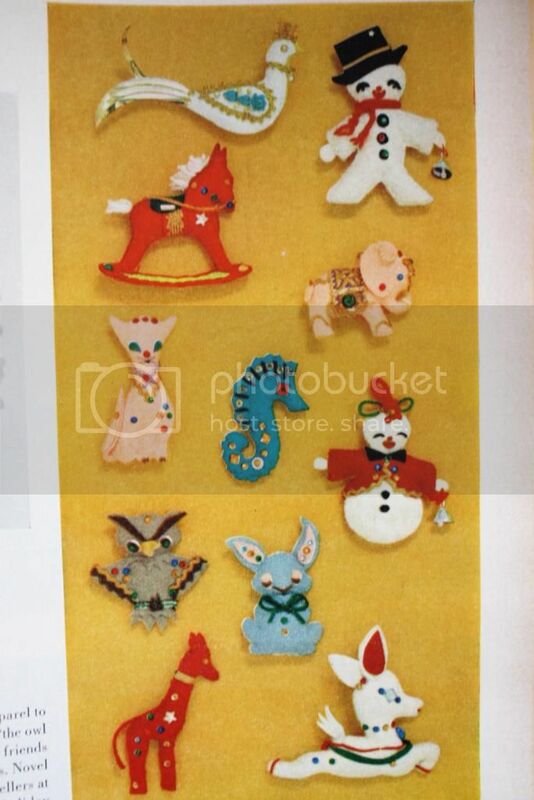 How cute are these felt Christmas ornaments? My favorite is the pink cat. Followed closely by the seahorse. 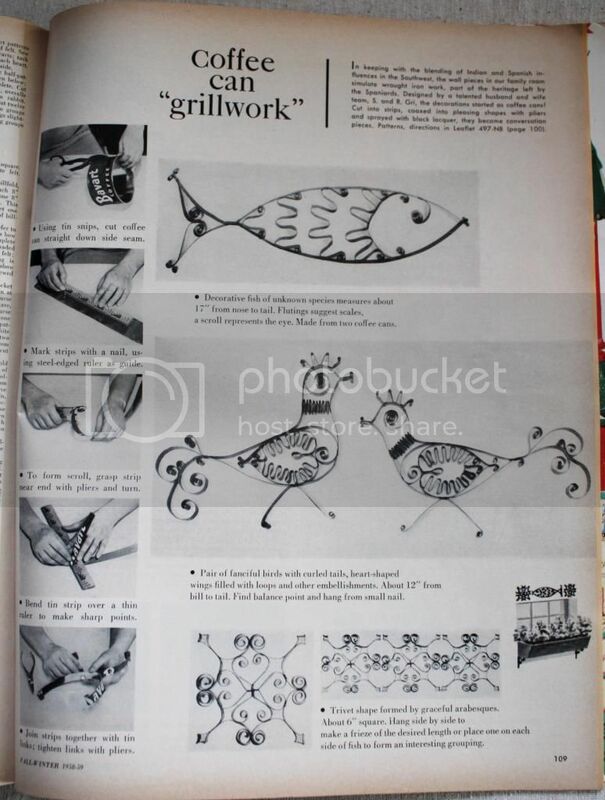 This “Coffee Can Grillework” looks pretty cool. 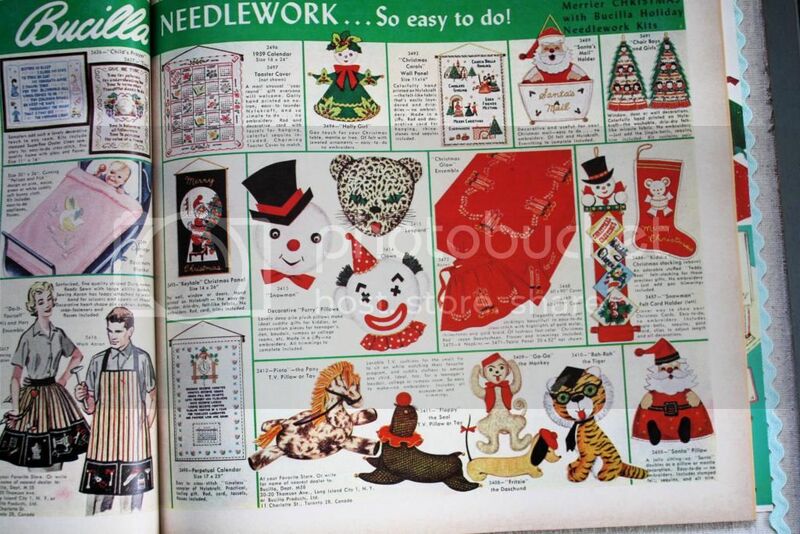 But could I make this without severely cutting myself? 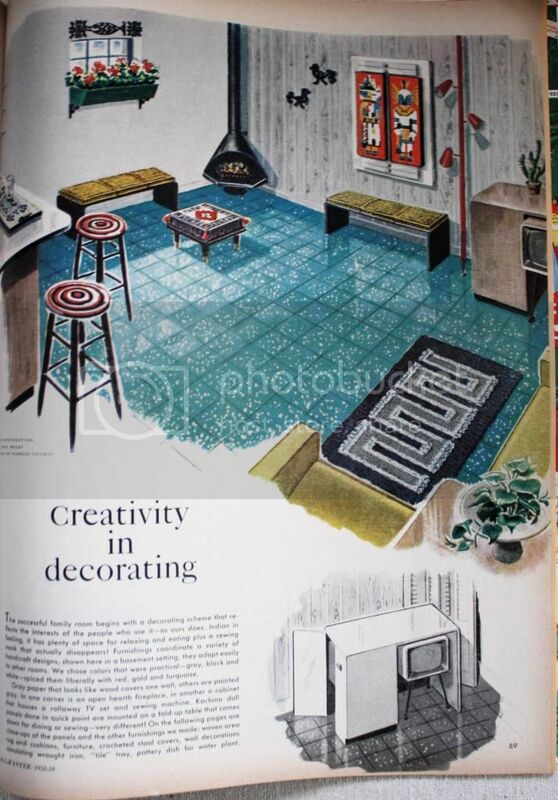 This home interior looks like something you’d see on a design blog today. 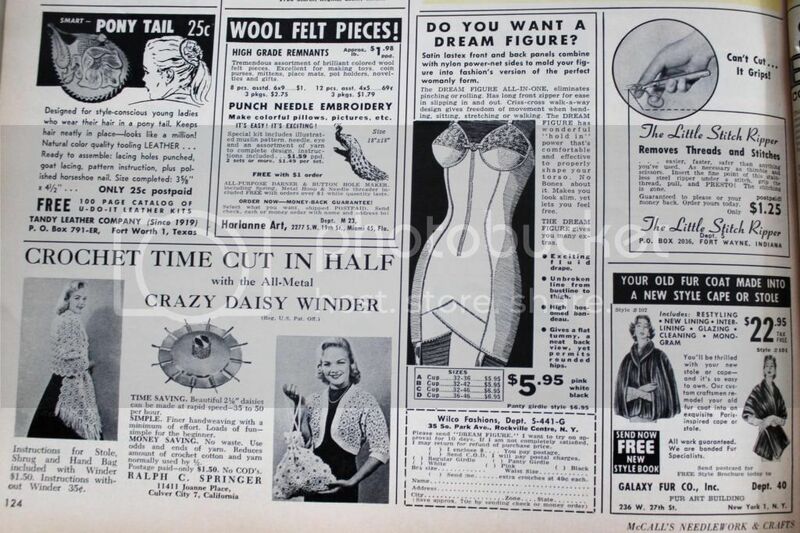 And here’s a sampling of the many fabulous ads on the back pages. 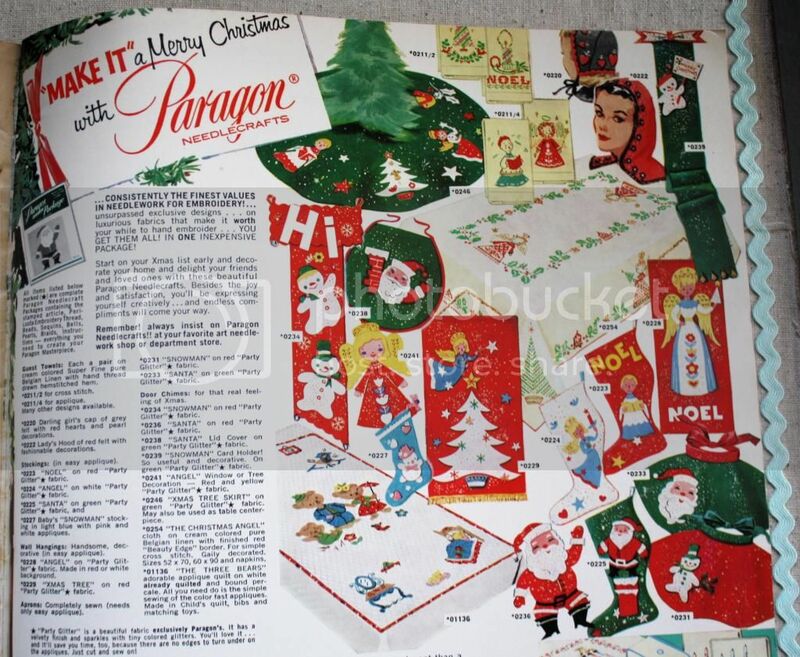 And of the very back page: more amazing vintage Christmas! 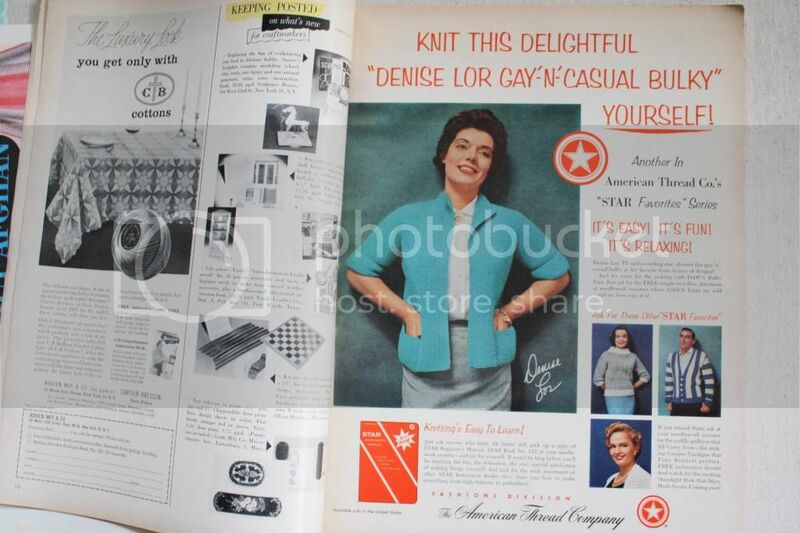 Now do you see why I love these magazines?